The StairLift that brings freedom of movement for all! We have made it our goal to assist people with physical handicaps to overcome structural obstacles found in everyday life. Our products are designed to provide our customers with a new feeling of freedom of mobility and independence. 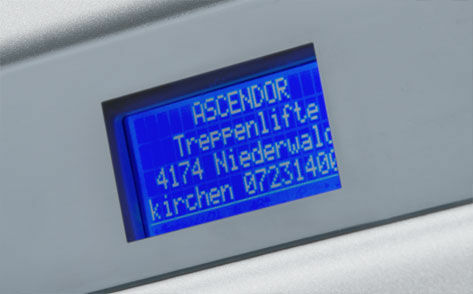 Ascendor’s platform stair lifts conform to the highest quality and safety standards. All our lifts are rigorously controlled before delivery to ensure that all reliability and functionality requirements are met. The Ascendor Stairlift clearly demonstrates that it is possible to combine elegance and functionality! 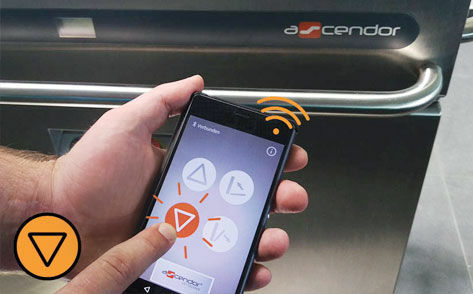 The increasing number of satisfied customers supports this opinion and justifies our claim that Ascendor manufactures the most attractive stair lifts. 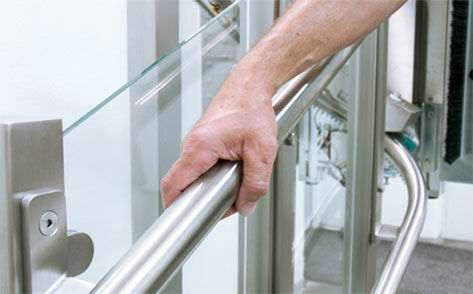 The high-quality 304 stainless is utilised to serve the lift as well as a clean handrail. If preferred we can also include horizontal or curved rail ends. Keeps you informed of the lifts status during normal operation with practical information such as helpline number. 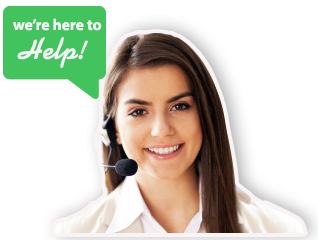 If an issue occurs, the screen will provide a simple explanation to make troubleshooting easy. Screen will also go into sleep mode while the lift is not in use. The platform and safety rails will easily open and close with the press of a button. If an obstacle is encountered, the platform has a series of concealed pressure switches that are able to sense an obstruction and automatically stop movement as a safety measure. Quickly converts your platform lift into a chair lift, a useful addition for people with impaired mobility. Constructed from stainless steel it will carry a max. load of 100kg and offers a 38x38cm seating space. The compact drive system allows for a sleek slimline design (Only 255mm thick when folded). Rechargeable battery powered operation guarantees the constant availability of the lift in the case of a power outage. It also allows for additional electrical safety with an Extra Low Voltage 24vDC system. 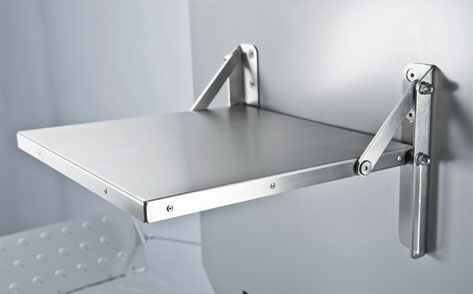 The onboard controls are concealed by the folded platform which is highly effective in preventing unauthorised use. 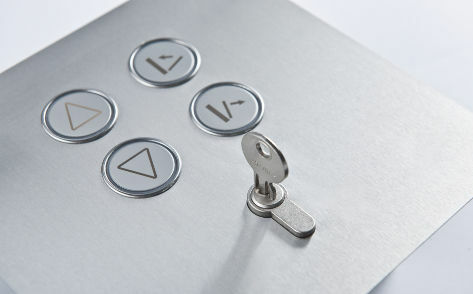 Each landing will feature a wall mounted pad with 4x buttons to control the lift. In standard form, each pad has a key to enable the buttons to be used. 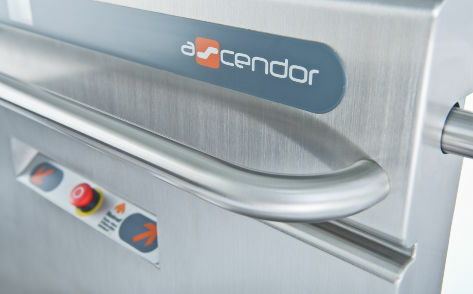 A key advantage of the Ascendor model over others on the market is that the safety arms fold away within the platform which will avoid possible service issues that other models on the market may encounter with vandalism. Offers a secure handhold for a safe journey. Ensure the lift can be controlled with ease. An extra large Stop button and a button to summon assistance, make our stair lifts particularly suitable for people with reduced mobility or physical handicaps. Optional compact handheld remotes are available that can easily fit within a handbag or pocket. Bluetooth option is available which allows you to easily control your stair lift via your Android smartphone or tablet. A great advantage for those with limited control or arthritis. 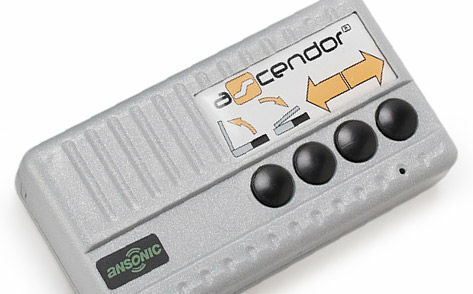 The bluetooth receiver can also be retrofitted on existing Ascendor lifts within minutes. The lift carriage can be produced in a range of stainless types and materials as well as the option to be powdercoated in any RAL colour. 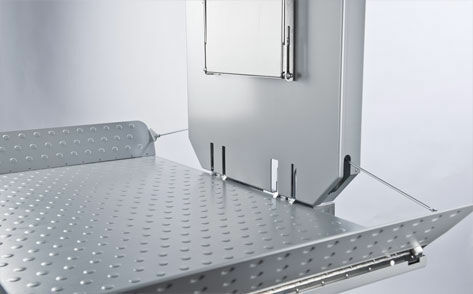 To increase protection from falling objects or people accidentally reaching through the drive rails, we can offer safety panels designed to fit between the rail supports. Panels can be either glass or any other solid panel. A push of the button will fetch the lift up to your floor. The safety bars and side mounted loading ramps open automatically. You can automatically open and close the platform with the remote control. Roll comfortably onto the platform with your wheelchair. Place your finger on the sensor button. The safety bars will be lowered and the ramps are raised automatically. The lift gently sets off in motion. Covering panels made from robust, scratch resistant, UV-proof ABS plastic. 24 volt DC operation via 4 integrated, maintenance free rechargeable batteries, automatic recharger included. 225 kg (can be increased to 300 kg – on request*)* Special requests are all subject to additional costs. How much does a platform stairlift cost? – Is the staircase straight or curved? – Can the platform be mounted directly onto the wall or will additional support brackets be required? – Are special construction arrangements necessary to install the lift? – Do you want to request a special colour finish? As you can see, the final price of a platform stair lift is dependent on many outside factors and the customers personal wishes. Please give us enough information regarding your requirements and the finished appearance of your stair lift and we will gladly send you a quotation, free of charge and without obligation! 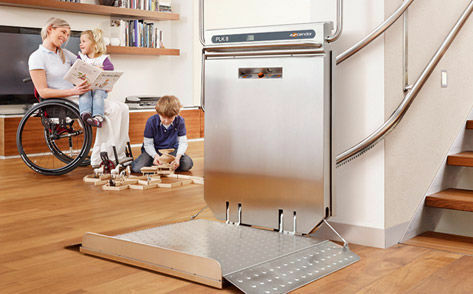 Are Ascendor Platform Stairlifts capable of transporting electric wheelchairs? Our platform stair lifts can be adapted to suit the requirements of electric wheelchair users and can be equipped to carry a heavier payload. Can platform stairlifts cope with curved staircases? Yes! 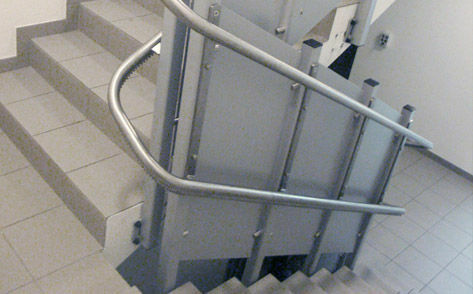 Our stairlifts can be installed on straight and curved staircases, the space available is the determining factor here. In order to clarify whether or not it is possible to install our platform stair lift, please get in contact with us. How long will I have to wait for the delivery of my stairlift? How much time does the installation of the stairlift require? The duration of the installation will depend on the length of the staircase i.e. the length of the transport rails required and how they need to be fitted (directly onto the wall or with support stanchions) and the how many floors the building has. As a general guideline, you should reckon with an assembly time of approximately one day (8 hours) per storey. In which colours is a platform stairlift available? The standard colour of our Ascendor Platform Stairlift is metallic-silver, similar to RAL 9006. 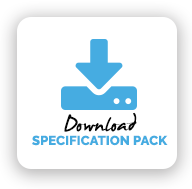 A non-standard finish can be delivered on request*, you can choose from a wide variety of RAL-colours. We can also provide our stairlift in an attractive stainless steel finish. Can people who are not wheelchair bound also use a platform stairlift? Of course this is possible. In many cases, especially in public buildings it may be advantageous to order a platform lift with a folding seat. This allows people with reduced mobility who are nonetheless not wheelchair bound to surmount staircases and provides extra comfort during travel. Sometimes a change in medical condition means a stair lift becomes essential. 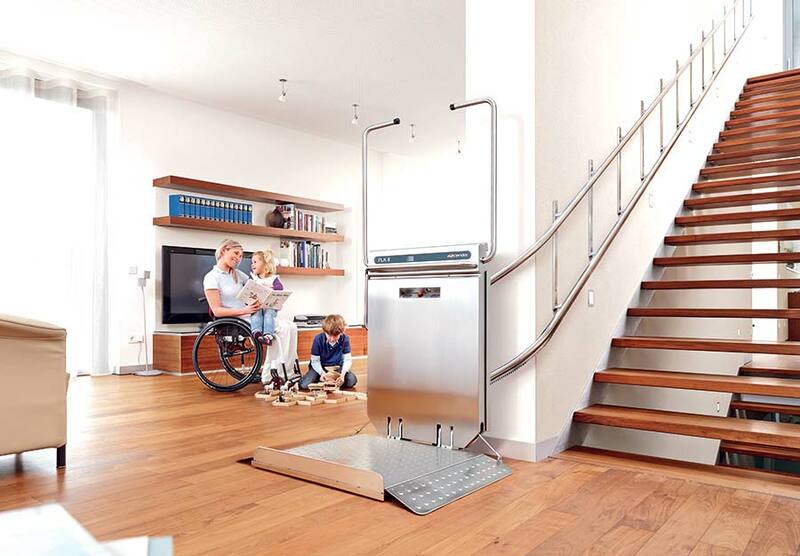 Following consultation with a specialist, you should consider fitting a platform lift if you are; or might become dependent on a wheelchair in the future. How is the platform stairlift operated? The power supply for the lift is provided by a standard electrical socket. The socket must be situated at the upper or lower end of the drive rail. Four maintenance-free, batteries are integrated into the lift chassis (an additional four can be fitted on request*). The batteries are automatically recharged when the lift is stationary at one of its landing stations. What will happen if a power failure occurs? There is no need to worry! Thanks to the integrated batteries fitted into the lift it can continue to operate even in the event of a power failure and travel between floors and stations without restriction. How is the lift controlled? The lift can be operated either directly at the control panel which is fitted onto the lift or by a handheld wireless remote control which can be conveniently carried in a pocket. This is the ideal solution for private owners. For public buildings, we recommend the installation of wall-mounted operating units on every landing. The lift can be summoned via these controls and the operating units can be locked with a key and thus are safe from unauthorised use. Are Ascendor platform lifts suitable for outdoor installation? 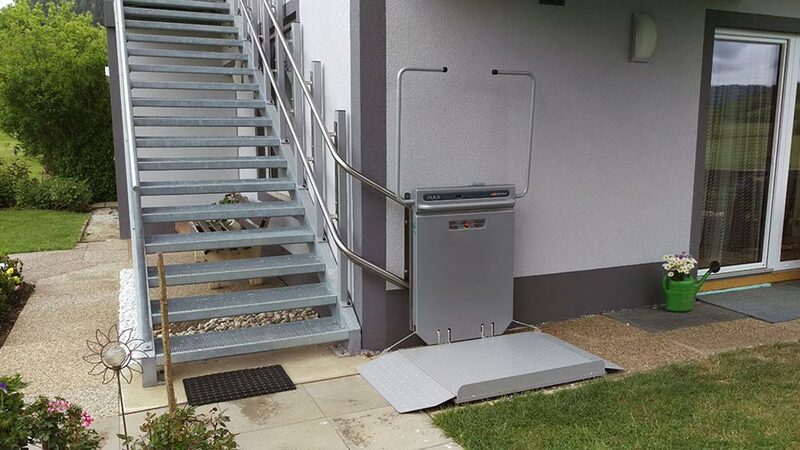 Yes, our platform stair lifts are available for outdoor installation and are equipped with an additional cover to protect the drive unit from rain. 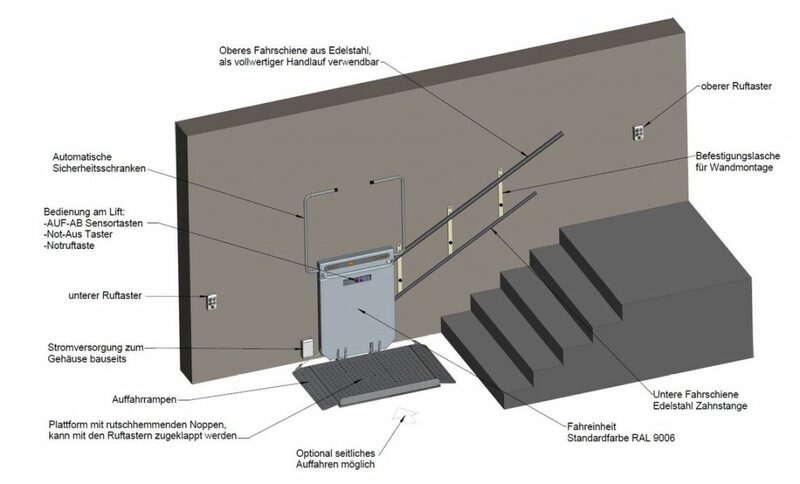 How is the platform stair lift driven? The platform stair lift is driven by a reliable and maintenance-free toothed rack and spur gear. Please note that the toothed rack is only fitted to the lower rail. 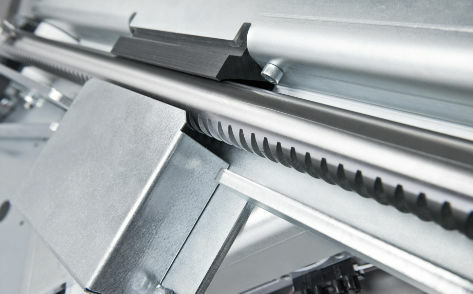 This ensures that the upper rail is free from grease and dirt and can therefore be used as a handrail. Can the lift be automatically stowed away? Yes, the lift can be conveniently stowed away by simply pressing the keys on the handheld wireless transmitter or on the wall-mounted operation unit. When folded away the platform saves space: it only requires a width of 25 cm for straight staircases and 31 cm for curved staircases.